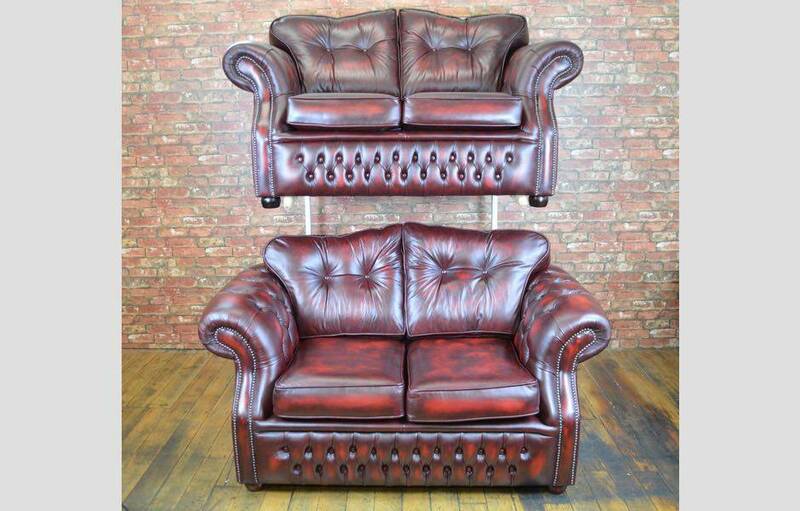 Here we have on sale a pair of The Warwick Chesterfield Range 2 Seat Sofas. Finished in Traditional Antique Ox Blood leather. Quintessentially British, the leather Warwick Chesterfield Sofa offers modern sophistication and luxury. It features a fibre back and cushions as well as an extended front facing design for enhanced comfort, making it an asset to home. Incorporating classic button detailing. This item is ready for dispatch at the earliest opportunity. If you'd like to choose your own size, leather style and colour take a look at the full Warwick Chesterfield Range. Please note: This item does not qualify for our FREE Queen Anne Footstool Offer. Most sale items are available for UK Mainland delivery at the earliest opportunity. All UK mainland deliveries are prior arranged on a specific day and time slot and are delivered by two men, who will place the furniture into the room of your choice and remove all of the packaging.